It has been about 4 months since I completed building the lightweight MuEX bike. Since then, I have added a front light onto the front of the handlebar. 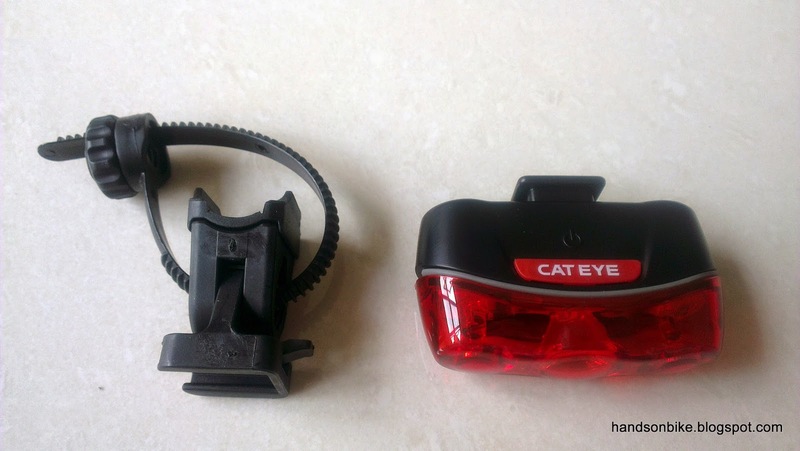 The front light that I used is the Lezyne Zecto Drive front light, which is a nice looking light that can be installed easily. For more details, check out the review page. As for the rear light, it is not easy to find one that can be fixed permanently to the bike. 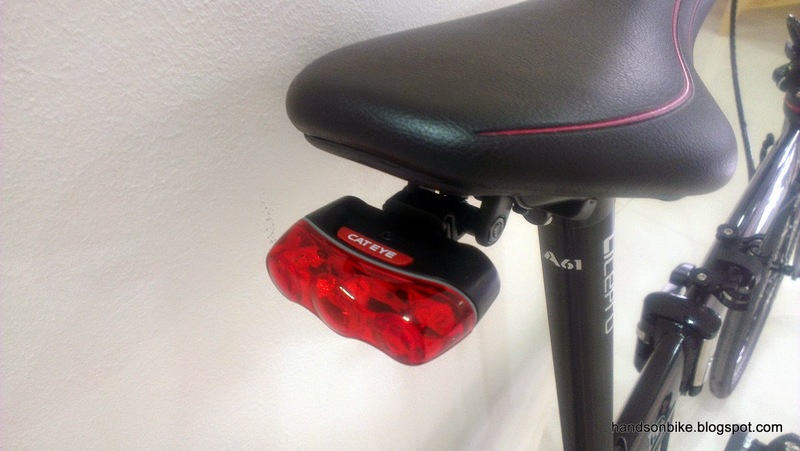 The usual places to mount a rear light are on the seatpost or the bottom of the saddle. Mounting on the seatpost is easy, but it would prevent me from lowering the seatpost easily during folding. Therefore, I decided to mount a light under the saddle. 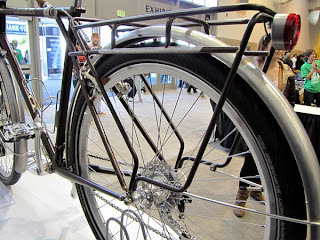 This is easier said than done, as not many rear lights can be mounted under the saddle. 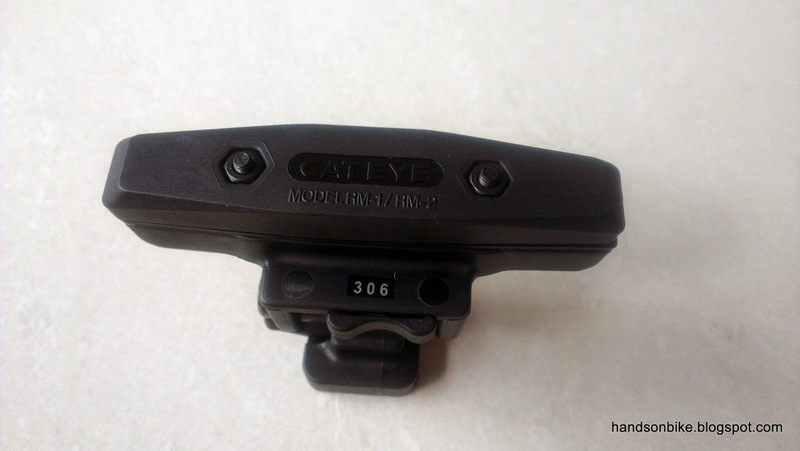 I came across the Cateye rear saddle mount, which can be installed under the saddle. 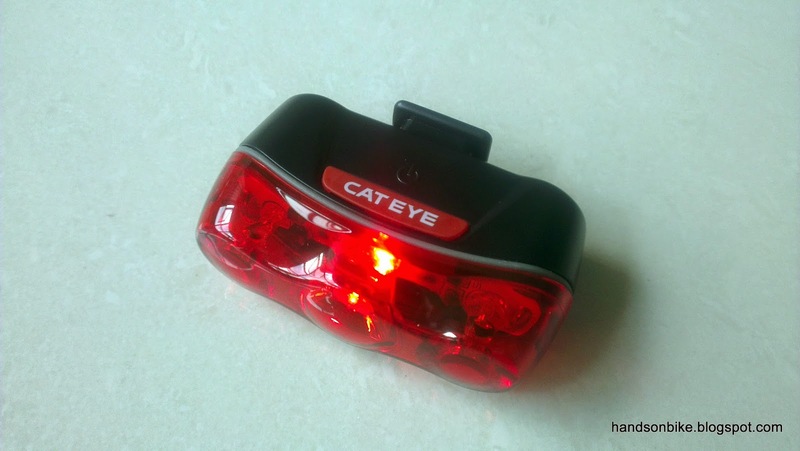 A standard Cateye rear light can then be fixed onto the mount. 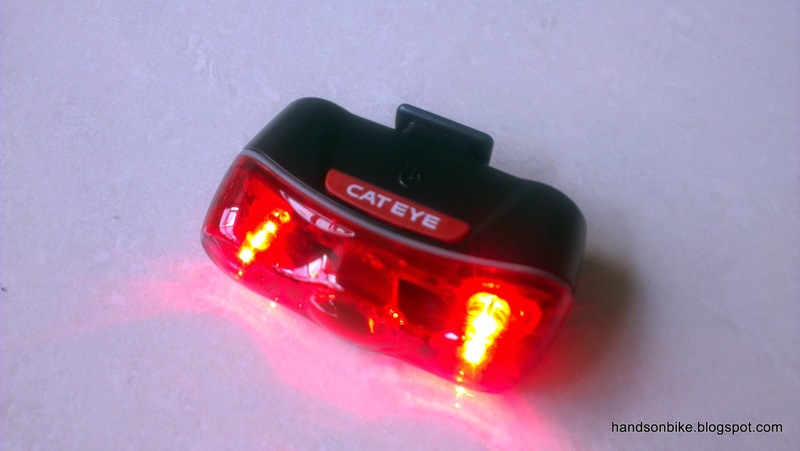 As for the rear light, Cateye has many good rear lights. I decided to get a slim rear light so that it does not take up too much space on either side of the saddle and interfere with pedaling. 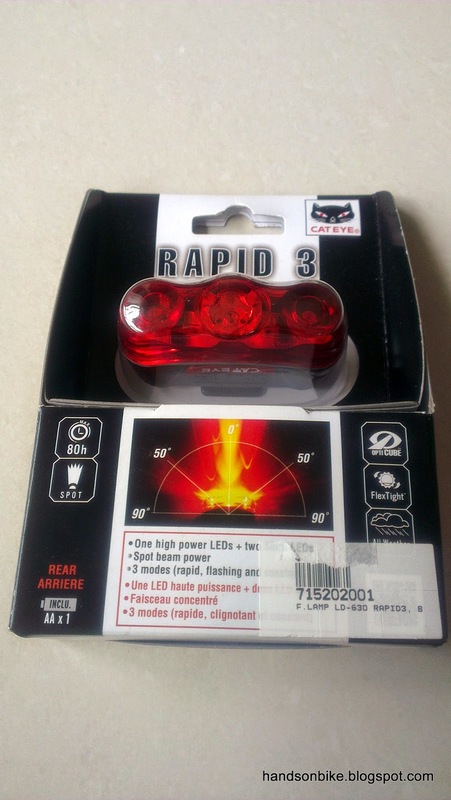 The Cateye Rapid 3 is basically a smaller version of the Cateye TL-LD610, which has 5 LEDs. 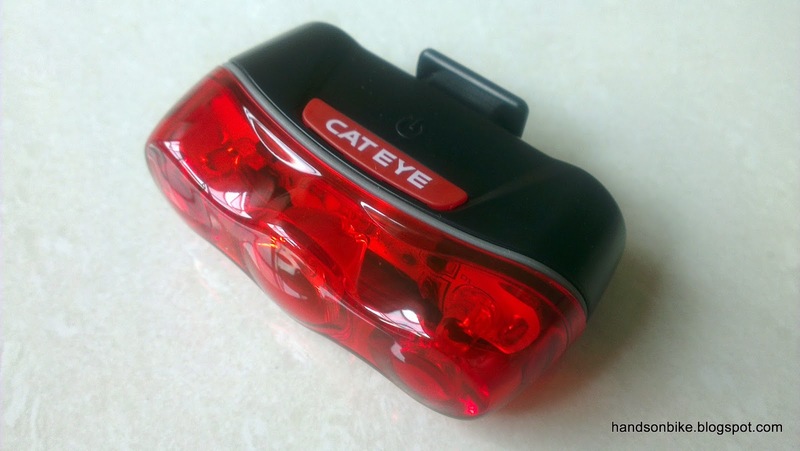 Cateye Rapid 3, a mini rear light with 1 high power LED and 2 other smaller LEDs. On the flashing mode, it can last 80 hours on 1 x AA battery, which is excellent. The light comes with a Flextight bracket, which is good for mounting on seatposts. The ON/OFF button is located on the top of the light and is easily accessible. To turn ON or OFF the rear light, just press and hold the power button on the top of the light. Press lightly to cycle through the various modes: steady, flashing and rapid. 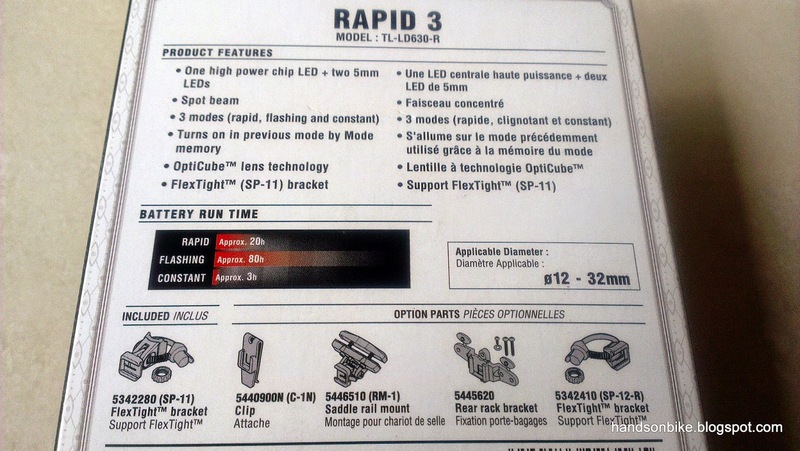 The flashing mode lasts the longest, but the rapid mode is the most eye catching. When the bracket and the rear light has been mounted on the saddle rails, here is how it looks. 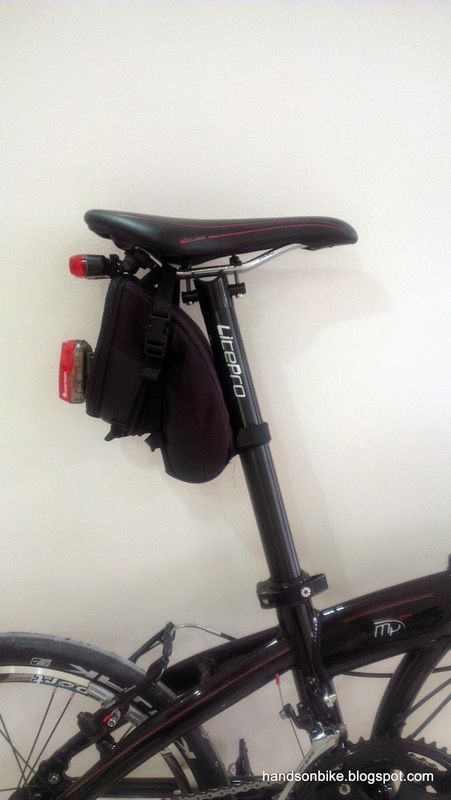 Install the light mount at the very end of the saddle rails, so that you can use a saddle bag if you want. The angle can be adjusted so that the rear light points directly rearwards. The clip allows easy removal of the light for battery replacement. Even when the Cateye light is mounted, I can still fix on the Topeak saddle bag. 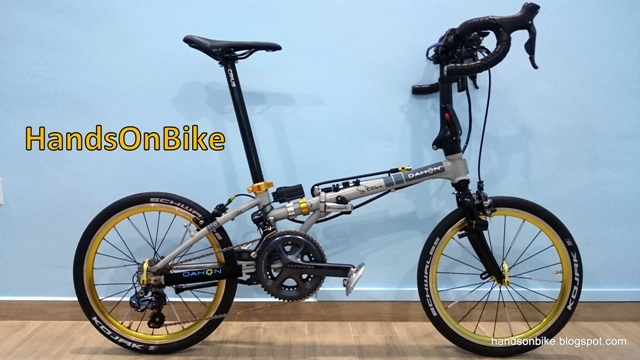 Note that it needs to be the strap type, as the Topeak fixer type cannot be used due to interference with the rear light. 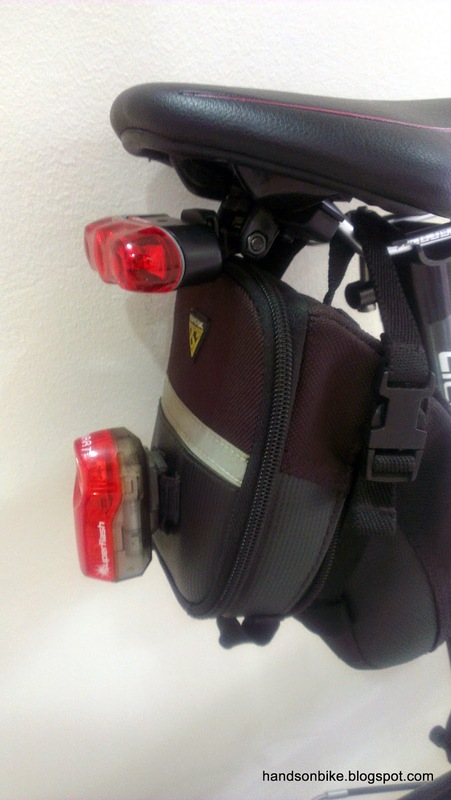 A slight squeeze, but both the Cateye Rapid 3 rear light and saddle bag can be mounted at the same time. 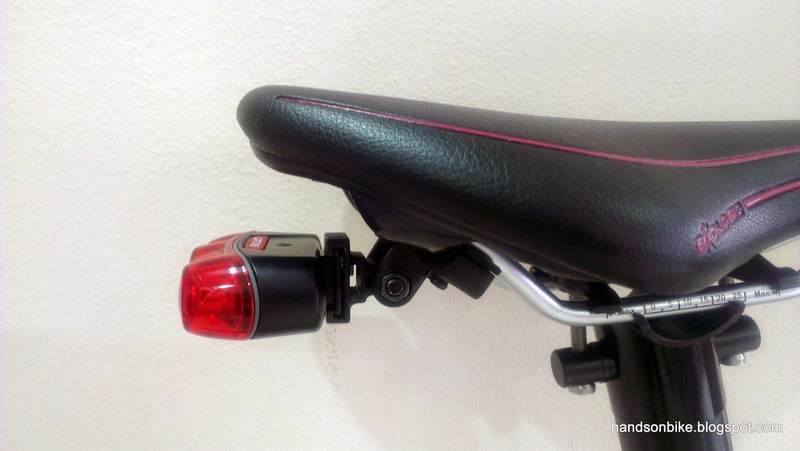 The reason for a separate rear light is so that when I ride without the saddle bag, there will still be a rear light that is permanently fixed to the bike. During actual use, I tend to use the rapid mode more often, as it is the most eye catching mode. In flashing or steady mode, it tends to be less bright and not so obvious. Nevertheless, this is a good light as it manages to achieve the brightness despite the use of only 1 x AA battery. This is a lightweight and compact rear light that is rather bright for its size. 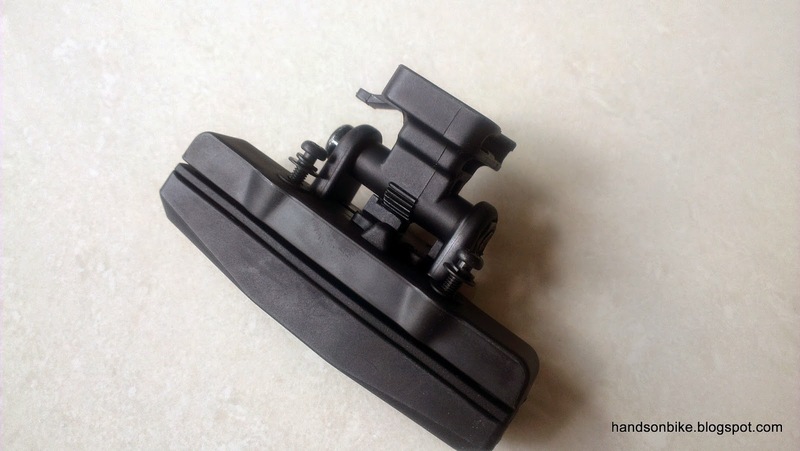 Together with a saddle mount, it allows the mounting of the rear light without using the seatpost, freeing up the seatpost for installing other accessories.